Gentlemen, Pinterest isn’t just a site for women’s projects and fashion tips. It is a never ending resource that will allow you to organize and catalog your ideas and projects on an easy to manage platform. When I started my Pinterest page a year ago, I really had no idea where to start. As I understood it, I just needed to “pin” things that I liked. I typed in “guns” into the Pinterest search tab and pinned a beautiful 1911 .45 ACP. I typed in “muscle cars” and pinned a 68 Cobra. Finally, I typed in “food” and pinned some yummy looking lamb stew. Since I pinned some things on my board, I thought I was done and didn’t look at my board for months. Recently, I rediscovered my page and have been pinning weekly after learning how to effectively use it. 1. Get Healthy – From full out military PT to 10 minute workouts, Pinterest has something for everyone to get back in shape. 2. Home Improvement – I can fix anything with my tool box and my Pinterest page. Home projects are once again fun. 3. Auto Repairs – Want to get an extra 10MPG out of your SUV or an extra 15 HP out of your car? Pinterest can help you do it. 4. Cooking – Loads of unique and downright delicious recipes. Vegan, Vegetarian, Paleo – they have it all. 5. Projects– Hundreds of seasonal projects that kids will love. Many can be done with household items that you already have. I use Pinterest as a private place for me to collect ideas and inspiration on my own terms. I have few followers which offers me a comforting level of anonymity in an age full of social media and limited online privacy. In closing, I leave you with one of my favorite quotes. Although Shakespeare did not write this 300+ years ago with Pinterest in mind, I think it’s still applicable. Wear your learning (and Pinterest), like your watch, in a private pocket. Do not pull it out merely to show that you have one. If asked what o’clock it is, tell it; but do not proclaim it hourly and unasked, like the watchman. I’ve started using Pinterest recently and it’s a great way to share things related to my blog, see things from other bloggers and organise interesting things I’ve found on the internet. I love the simplicity of it. Most research I find on Pinterest is states that Pinterest is only popular to a female audience, which is disappointing to think that men aren’t taking advantage of this simple and fun site. The founder and CEO of Pinterest is actually a male and pinned the first pin of a paper cutout. There is even male based search categories (cars, nature, health) that anyone can explore. I think we will start seeing a lot of males integrating to Pinterest use and many male based brands will start incorporating Pinterest in their advertising. Ashley- I didn’t know that the CEO of Pinterest was male. 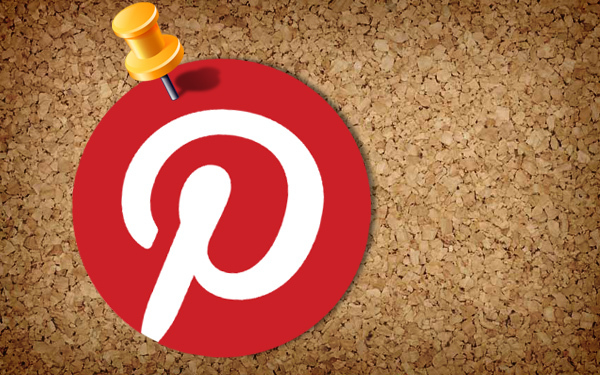 Thanks for sharing and I hope for a stronger male presence with Pinterest in the future!